Theresa May has demanded a "very serious, full response" to an independent probe which highlighted the bullying culture of the House of Commons. The Prime Minister said the report from High Court judge Dame Laura Cox should "worry all of us" and insisted there is "no place" for bullying, sexual harassment or abuse in any workplace - including Parliament. Mrs May's remarks came during PMQs after Labour's Teresa Pearce provoked gasps from MPs by raising the case of an Erith and Thamesmead constituent employed by the Commons who has allegedly been sexually harassed at work by a colleague. Ms Pearce said: "Despite many months of meetings with her HR and line management, she's been treated like the problem rather than the victim. "Could the Prime Minister advise me what I can do to help my constituent return to work and feel safe - when her employer is this House?" Mrs May replied: "It's important everybody is treated with dignity and respect in their workplace. "There is no place for bullying, sexual harassment or abuse in any workplace and that includes in this Parliament. "I'm sure we're all very concerned at the report Dame Laura Cox has brought forward. "We have been working on this issue here in this House and I would particularly commend (Commons Leader Andrea Leadsom) who has been working tirelessly on this issue to try and change our culture and practices here in this House. "I hope there will be a very serious, full response and a proper response to Dame Laura Cox's report. "This should worry all of us and what I want to see is a situation where (Ms Pearce's) constituent is able to ensure she can come to work in this House, be treated with dignity and respect, and not be subject to bullying, harassment or abuse." Dame Laura's report lifted the lid on a toxic environment in Westminster, which included staff having their bottoms and breasts touched in an atmosphere fuelled by ready access to alcohol. Her report found a culture of "deference, subservience, acquiescence and silence" had allowed the mistreatment of staff in the House of Commons to thrive. In the report, Dame Laura said it was "difficult to envisage" how the reforms needed could be delivered under the current senior House administration. 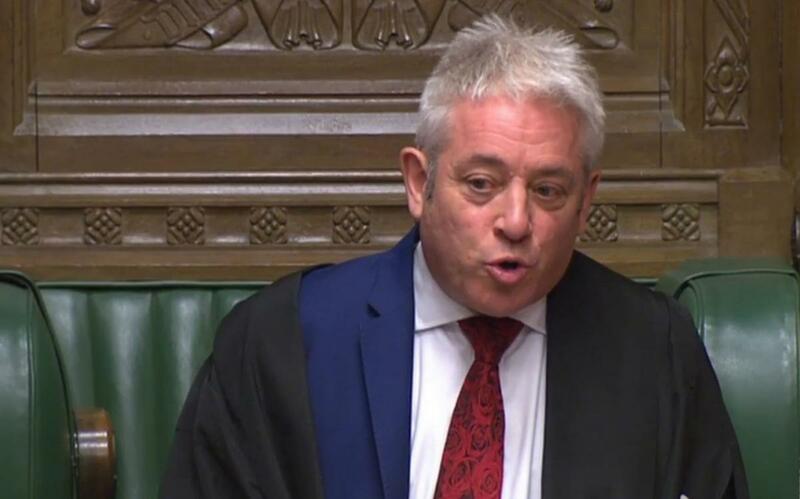 Commons Speaker John Bercow, who has strongly denied allegations he bullied officials, faced calls to quit following the publication of the report. He wants an outside body to investigate complaints about bullying, harassment and sexual misconduct in the Commons.